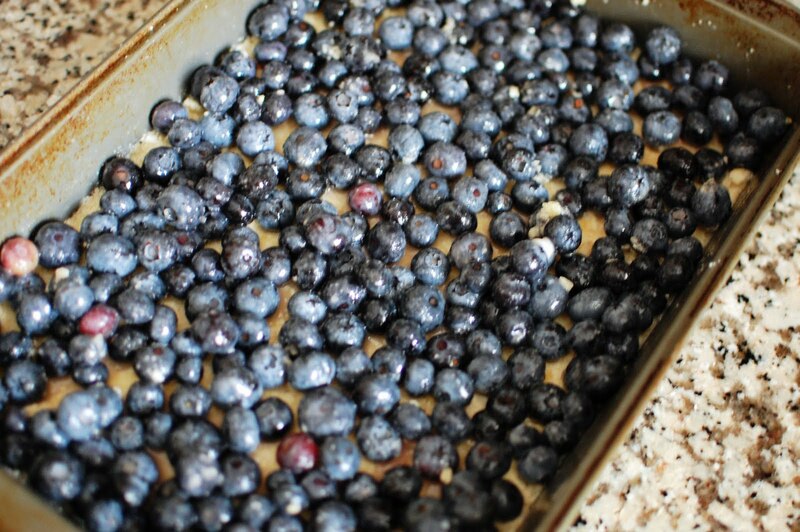 Guest Blogger: The Beantown Baker’s Blueberry Crumb Bar Recipe! Hi! My name is Jen and I blog over at Beantown Baker. As the name implies, I do a lot of baking from my little kitchen in Boston. I also enjoy cooking, but I’m definitely more comfortable with measuring cups, flour, sugar, and butter! When Renee asked for guest posts, I knew I wanted to participate right away. I met Renee at one of the first few Boston Brunchers last fall and it’s been fun running into her at various blogger events. Summertime to me means fresh produce. Strawberries in June. Blueberries, raspberries, and blackberries in July. And peaches in August. Did I mention I love summertime? With all the deliciousness, what do you expect. We always have desserts in the house, and if it were up to Hubby, they’d always have blueberries in them. Or lemon. He’s been on a big lemon kick recently. 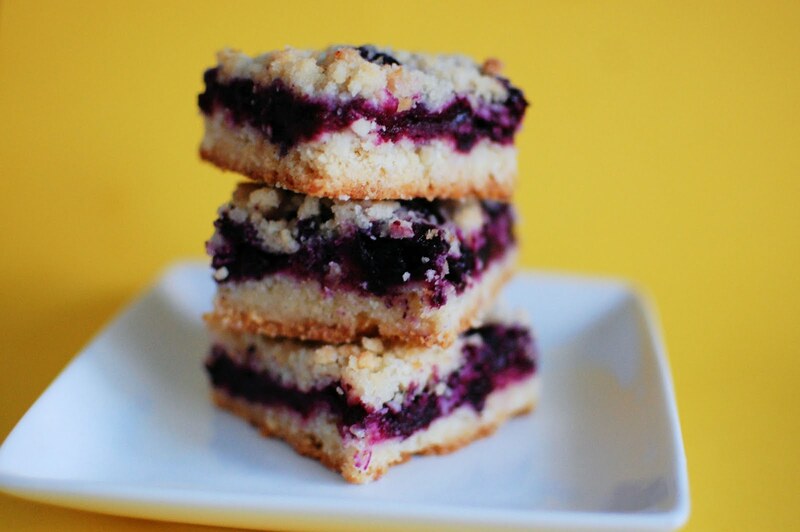 Lucky for him, these blueberry crumb bars have both! The recipe is pretty simple to throw together and turns out every time. You can even adapt it to accomodate whatever kind of berries you have in the house. 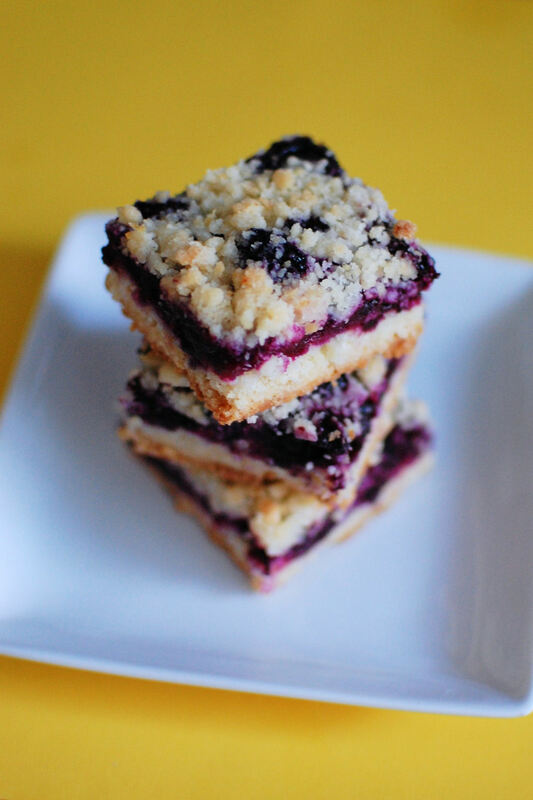 While these blueberry crumb bars scream “SUMMER”!, I’ve been making them year-round. Hubby and I enjoy going to pick-your-own farms to pick various fruit and berries. Each year, we stock up on TONS of blueberries. Since they’re his favorite and they freeze so well, there’s no reason to hold back when picking blueberries. I then divide them into 1 cup portions and freeze them so that I can pump out blueberry treats no matter what time of year it is! Preheat the oven to 375. Grease a 9×13 inch pan. In a medium bowl, stir together the 1 cup of sugar, baking powder, and flour. Mix in salt and lemon zest. Use a fork or pastry cutter to blend in the butter and egg. Dough will be crumbly. Pat half of dough into the prepared pan. In another bowl, stir together the 1/2 cup of sugar, cornstarch and lemon juice. Gently mix in the blueberries. Sprinkle the blueberry mixture evenly over the crust. Crumble remaining dough over the berry layer. This entry was posted in Recipes by reneeh. Bookmark the permalink. I’ve been loving all of Jen’s fabulous blueberry recipes lately. Great guest blog post! Thanks for letting me guest post. I totally endorse being lazy during the summertime. I seriously need to buy some blueberries today! And your comment on my blog made me smile! Just made these today with the last of our fresh blueberries. Like all your recipes, a 10 plus!